The libraries tab in ClickView Online, may contain your schools ClickView videos synced with the Cloud as well as ClickView’s hosted libraries. Students and teachers outside your school cannot view videos in your local Library. To explore your libraries, first click on the ‘Libraries' tab in the main menu at the top of the page. 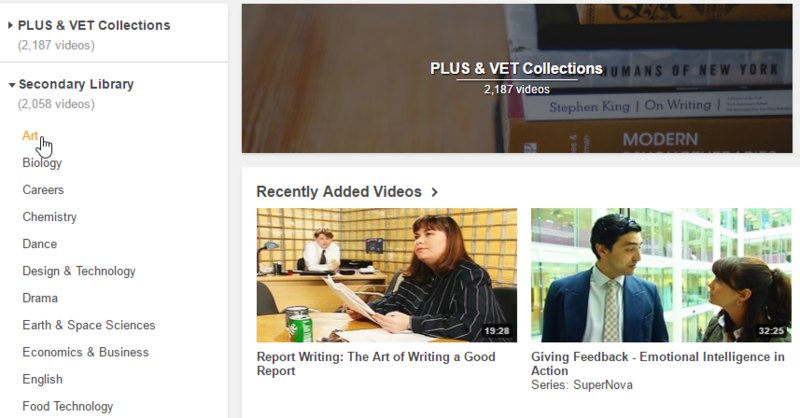 You can browse through the library videos by category using the menu on the left hand side of the page. You can also conduct a more refined search of your libraries by typing keywords into the search-bar at the top of the page. This will produce a list of videos that are relevant to your search terms. Once you've found a video you like, simply click on it to begin playing the video.